The Open Source Ecology 3D Printer Construction Set Workshop is an immersion experience where you can build your own 3D printer, in one day. 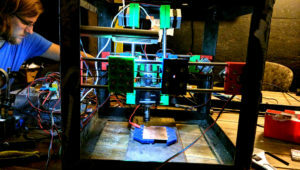 You can take the 3D printer that you build home with you. 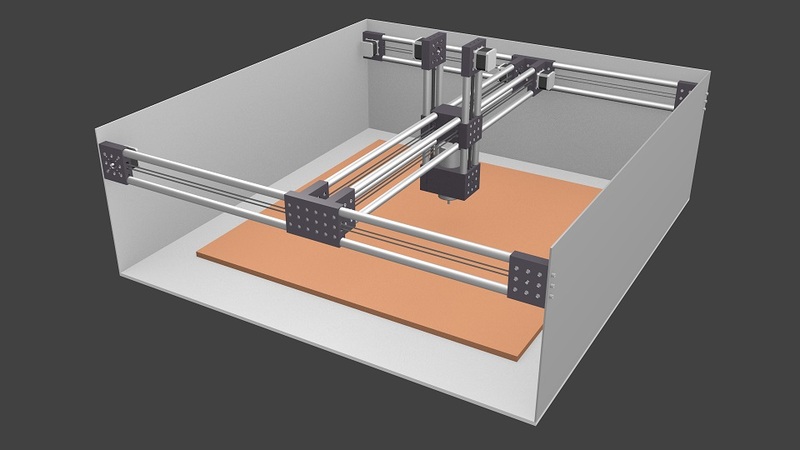 The 3D Printer Construction Set is a set of building blocks that allows you to build a CNC machine of any size – and also – if the parts are enlarged but the same design principles are used – to build other machines including a CNC Torch Table, a CNC Router, and a CNC Laser Cutter. While there are many different 3D printers available – and they are becoming low cost and accessible – we felt that they are still complex enough to be beyond the reach of the average builder. To lower the barriers to 3D printing – and to multiaxis CNC machines in general – we decided to design the simplest possible 3D Printer – in the world. We have gotten the unique parts count down to about 40 – which is about half that of an average printer. We did not stop there. We decided to build a Construction Set – for any CNC machine. We are using magnetic connectors to attach the axes, tool head, end stops, power supply, the controller, and even the cable chain – making this system like a Lego set for rapid building. Our construction set approach allows us to stack, multiply, scale, piggyback, and otherwise reconfigure components for maximum flexibility. Our frame is heavy duty steel, so our system is more than a toy. We are designing a system intended to be scaled for industrial applications – consistent with our work on the Global Village Construction Set. 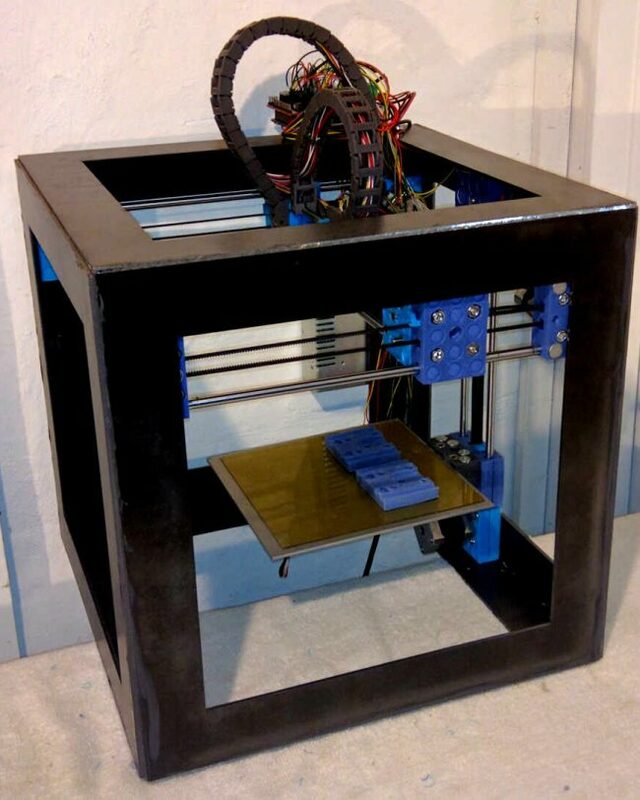 In this workshop, you will build a 3D printer with an 8″x8″x8″ cubic print volume. We have 24 seats open for this workshop, but there is an Early Bird advantage. The first 12 registrants will build a 16″ frame version, while the remaining ones will build a 13″ version. While both of these printers have an identical 8 inch cubic build volume, the larger printer allows for an easier upgrade to a 12″ print bed. In this workshop – in addition to the build of the D3D 3D Printer – we are also offering an experimental track for up to 4 people. This experimental build will be a much larger – 6 foot (2 meter) tall printer. This printer can be used to print aquaponic towers, fence posts, plastic lumber, pipe, and other tall objects up to 6 feet tall. 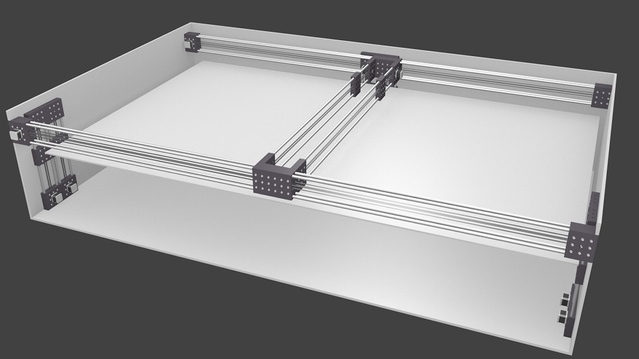 We will do this simply by taking 2 of our usual cubic printer frames, and connecting them vertically with steel angle on each of the 4 corners. This way, we can create a much larger 3D printer using the same parts as the smaller printers. This is intended to demonstrate flexibility and power of the Construction Set approach. Because we use an industrial strength, 10 gauge steel frame in our 3D printer – the 6 foot tall build is an easy extension of our basic model. We also have a 2-for-1 offer – if you regiser to take a 3D printer home with you – you are welcome to bring one friend or family member with you for free. Using this Universal Axis and taking advantage of the Construction Set approach, we have already built an open source CNC circuit mill. We reconfigured the axes compared to our 3D printer, and added a small router. 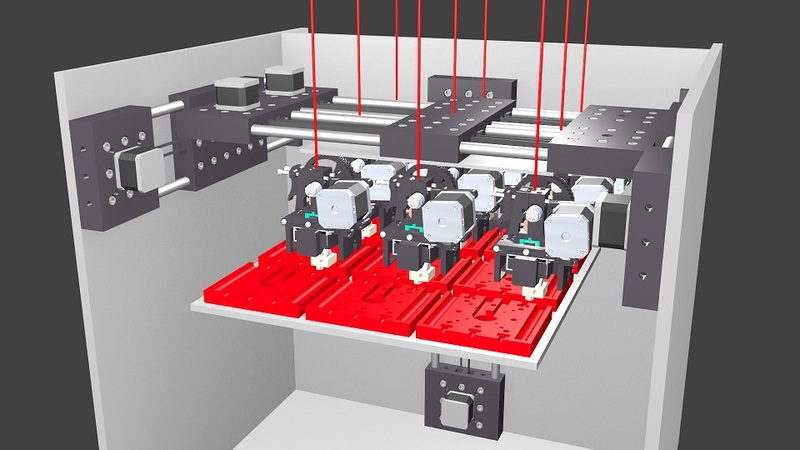 Note how the basic axis unit and its ability to connect to other axis units allows for a wide range of design variations, putting the ability to design CNC machines within the hands of ordinary people. Depending on the tool head that is used – the machine can have the functionality of the corresponding tool head – whether a 3D printer extruder, a router, a laser cutter, a cutting torch, or many others. The beauty lies in an absolute minimum number of parts that are used to build an infinite variety of CNC machines – depending on size, axis configuration, and tool heads. The unique part count for our 3D printer is only 40 – about half of comparable printers. By making our machines simple and universal, we are aiming for the most widely replicated CNC build system in the world. To that end, we are inviting developers and entrepreneurs to join the OSE Development Team. This workshop builds upon OSE’s Extreme Manufacturing approach of rapid building with multiple teams working in parallel on modular components. By simplifying the design and streamlining the build with digitally-fabricated, open source parts – people are now able to build a high quality 3D printer in record time at low cost. We are also developing an open source enterprise model for how to run such workshops anywhere in the world. We are publishing our enterprise model openly, with all supporting information that helps people in a successful startup – without reinventing the wheel. This workshop is intended for those people who don’t have the time to build a printer themselves – or who don’t think they have the skills to build one – but who are interested in an extremely streamlined and efficient process. The intended audience is also anyone who would consider running Extreme Manufacturing 3D printer workshops as part of their livelihood. We are guaranteeing that as a result of the 1 day immersion – the participants will walk away with a basic understanding of how to design and build their own 3D printer – including software setup. We estimate that the entire build should take 8 hours with one person. 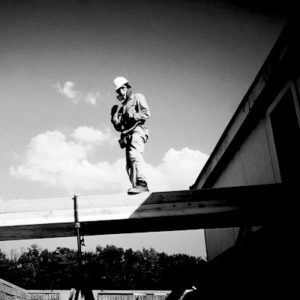 We do not require prior experience from our participants, as we teach the basics and work as a team. We are offering a 2-for-1 offer if you would like to bring a friend or family member with you for free. The end point of the day will be a successful, high quality print. In this workshop, we will build a total 24 3D printers – in One Day. In order to achieve this remarkable feat of efficiency – while maintaining an enjoyable experience – we expect all participants to work as a team. Using our modular build techniques, we will organize the event into 6 teams based on the 6 main modules. These are the Frame, Axis, Extruder, Print Bed, Endstops, and Power Supply. Then each builder will finish wiring the controller, up to orgnanizing all the wires in a 3D printed cable chain. Throughout the day, people are welcome to shift between the different teams, so that every participant will get a good overview of the entire build. When people shift between teams – everyone participates in teaching as old team members teach new team members. Quality control is critical to our Extreme Manufacturing model. Because we establish production lines for each module – quality control will be greatly facilitated. Each module will have an example module prepared – and each team replicates that module exactly. Quality control thus simply involves visual inspection such that each batch of modules is identical. Key points are checked off from a list – and any errors can be caught early. Instead of waiting until final assembly to determine whether parts are correct – the visual inspection is spread throughout each batch of identical modules. This is a major win for quality control in distributed production. There will be no stragglers going off into a corner to do their own build. The reason is not so much that a production line is faster than the one-off build – as both can be comparably fast. The main issue is that quality control in individual – as opposed to production line builds – is nearly impossible. Numerous mistakes would be made, and would lead to a very long build day or an unfinished printer. You will get a feel for how such efficiency could lead to the feasibility of open source micro-factories that reinvent manufacturing – via collaborative, social production. Combined with automation of certain tasks (such as all the parts that have been 3D printed) – there are profound ramifications for ending the indignity of factory labor and replacing it with meaningful, closed loop production. OSE’s ultimate goal is that people evolve to freedom, as integrated humans, where artificial scarcity is no longer an issue. Workshop immersion involves concept and practice, and includes a crash course on Open Source Ecology. Participants become engaged in a part of OSE’s development process, where we produce open source blueprints for the infrastructures of civilization. Participants are introduced to basic principles of collaborative literacy – how the collaborative mindset can be used to solve wicked problems. This workshop is intended for people interested in immersion, hands-on skills training and practical results. This immersion course may be especially useful to people who would like to make their livelihood by using open source enterprise. We are especially seeking participants with an entrepreneurial mindset to expand open source production into the mainstream. We are exploring the potential of open source economics by determining the limits of social production: can distributed, collaborative, community supported manufacturing (CSM) be an alternative to centralized factories? The overall workshop is designed for people interested in transitioning from consumer to producer. We welcome both complete novices and those with experience. The critical part is willingness to learn. By joining this workshop, you have an opportunity to be part of a community interested in developing products collaboratively and open source, so that everyone can benefit. OSE’s goal is to promote right livelihood using open source – and part of that is starting enterprises – whether in 3D printing or in other productive areas. We are promoting the concept of distributive enterprise. Marcin Jakubowski (USA)- Marcin was trained as a fusion physicist. He left academia right after finishing his Ph.D. to start a farm – in Missouri – and founded Open Source Ecology. For the last 7 years, he has been working on the Global Village Construction Set – a set of enabling tools and machines for building regenerative infrastructures. Marcin is passionate about creating the Open Source Economy – a new operating system for Earth. See Marcin’s bio. Note: schedule is being refined and may change slightly. The full program goes from 8 AM to 6 PM. 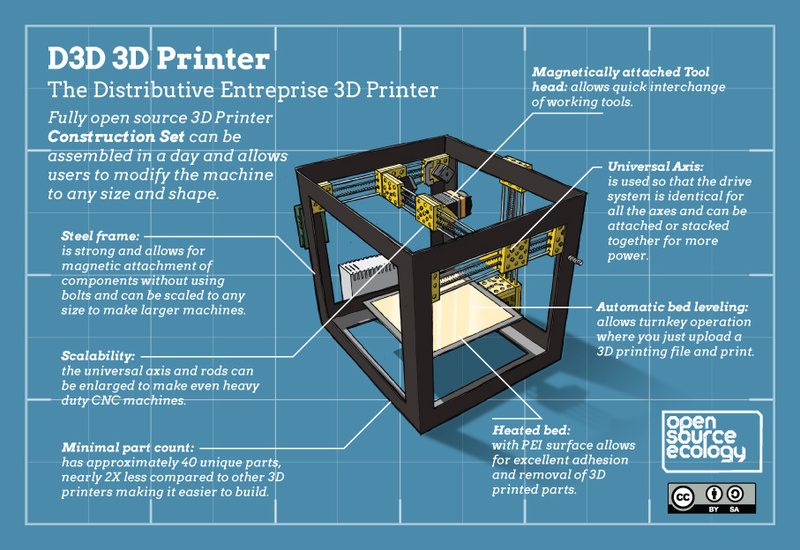 Morning: How to Design and Build a 3D Printer. Materials Organization and Beginning of Build. Distributive Enterprise and Design Challenges. Applications of the 3D Printer Construction Set. Beginning of build. Afternoon: Afternoon Build Session. Control Software and Calibration for the 3D Printer. Electronics Build. First Prints. Early Bird Admission ends on July 29, 2017 at 7 PM CST USA time. The registration is $799 after that. 2-for-1 Discount:Take advantage of our 2-for-1 offer and bring a family member or friend with you for free. Group Rate: Email us if you would like to bring a group. True Fans of OSE: As supporting members of OSE, True Fans who have been subscribed for 6 or more months receive a 25% discount on all of our workshops. This discount is only for the tuition part part of the registration fee, but not the 3D printer materials cost. Email us for details. You can sign up as a True Fan now to become eligible for the True Fans discount on future workshops. Sponsor another participant or Donate to OSE: We are a nonprofit organization with 501(c)3 status. You can make tax-deductible contributions to us. Sponsor $699 to fund attendance of someone who is on the waiting list for financial assistance by making a donation. We receive low-income assistance requests for all of our workshops. Logistics: Email us if you would like to bring a group. Workshop fee does not include food, but snacks will be provided. You will be responsible for your accommodations, and wild camping is available on site. For those who would like to stay in our dormitory, the fee is $25 per night. Registration for the choices above is found on Eventbrite, but Eventbrite accepts only PayPal or Credit Card. If you would like to pay by other means you can select that option at Eventbrite, but then you have to submit your payment independently of Eventbrite. We accept Dwolla, Bitcoin, Check, Money Order, or Cash. Your registration is complete upon receipt of payment. If you pay with Dwolla – Dwolla charges lower transaction costs than PayPal. If you are paying by Dwolla, register at Eventbrite and select the Dwolla option, then pay independently via Dwolla (Dwolla is not currently integrated into Eventbrite). Use Open Source Ecology or ops@opensourceecology.org as the Dwolla recipient. Bitcoin is a decentralized payment system. You can pay via a bitcoin amount translated by the current bitcoin exchange rate on the day that you register. OSE’s Bitcoin Address is 166yC48RakrZdtsBj36vY9q29CpzknHbxY. If you are paying by check, please make checks payable to Open Source Ecology. Our mailing address is OSE, 909 SW Willow Rd, Maysville, MO 64469. For mailings, please write “3D Printer Construction Set Workshop” in the memo line on your check. For wire transfers, please email us at ops@opensourceecology.org for further directions. If you need to cancel for any reason, we will be happy to (a) transfer you credit towards another workshop in the future; (b) substitute the name on your ticket and have a friend take your place. Please use the the Eventbrite form below to pay with PayPal/credit card. Eventbrite charges a small fee. Where is the bill of materials for this, along with the design page? Thought I saw the BOM here the other day. Was not able to find else-ware ( wiki, this site) those are still at the old printer stuff. My son and I are interested in your 3D printer workshop. My son is 14 and smart with computers. May he come as my family member? I understand that the price for two of us is $699, and we get to take a printer home. Is this correct? We will most likely be driving from Los Alamos, New Mexico. Are there hotels nearby? We are building a recumbent tricycle in our garage; welding and grinding steel. I think we could build a more aerodynamic frame more efficiently if we had a large enough printer, and certain plastics might work well. Is any sponsor available to offer my attendance to this event? I manage a community garden and community house where I’d like to begin offering more of this technology to the area. As I do all of this by my own volition and not for pay, I don’t have much money.